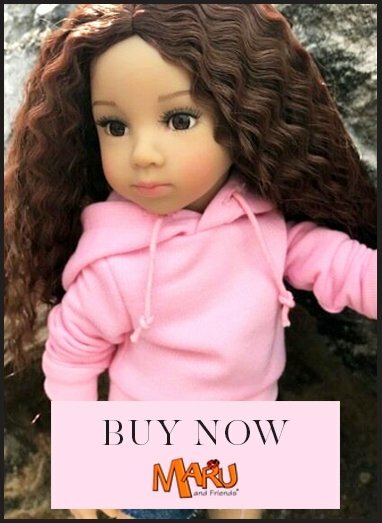 Diana is a beautiful black African baby girl doll who is 38cm long. She has a beautiful happy face and cute pigtails with pink hair accessories. Her expression is lively and she makes you smile with her. Her vinyl limbs and head have a soft touch to the vinyl and her centre is soft and cuddly. Diana comes with a dummy that fits inside her mouth. She does not have any battery operated functions. The clothes Diana is wearing are soft, cuddly, white and very pretty.